In three seasons on ABC, Agents of S.H.I.E.L.D. has been hit or miss, even for the most diehard of Marvel fans. With season four, the writers pulled out such comic book hits as Ghost Rider (played by Gabriel Luna) and Life Model Decoys to revitalize the story. Now, Agents of S.H.I.E.L.D. is heading somewhere it’s never gone before: a whole new virtual world. The series has taken its secret agents to a whole new planet (in season three), and even to another dimension (in season four), but this time around, an entire virtual reality in which the minds of those connected to it are completely immersed has arrived. Called the Framework, many of the minds of the main characters of the series are locked inside, living out a completely different version of their life, one in which their biggest regret has been eliminated. Coulson (Clark Gregg) is a teacher instead of a S.H.I.E.L.D. agent, Hydra won and May (Ming-Na Wen) works for them, and Ward (Brett Dalton) is still alive. The inclusion of Grant Ward had fans buzzing about just who else could pop up in the next pod of episodes. Fans have been clamoring for the return of fan favorites like Agent Triplett (B.J. Britt), who was killed in season two, and the villainous John Garrett (Bill Paxton), who was the original Deathlok and killed in season one. Unfortunately for fans, Bill Paxton won’t be in the cards, as the actor recently passed away after complications from surgery. Entertainment Weekly also revealed that the show didn’t have immediate plans to bring him back either, so it’s unlikely fans are in for a surprise there. There are still plenty of possibilities though for characters who have died to be brought back for new storylines in the Framework, or for those characters who disappeared to be seen again in a whole new context. Here are 15 characters who just have to appear in the Framework as Agents of S.H.I.E.L.D. winds down its fourth season. Note: In addition to the mild spoilers above, there are spoilers for the entirety of the Agents of S.H.I.E.L.D. run so far within our list. If you haven’t yet caught up on the events of the show, you have been warned! Many a fan was devastated when Antoine Triplett found himself caught in the middle of an underground Kree city with a pair of Inhumans, shattering into fragments after touching the obelisk. Trip was a S.H.I.E.L.D. legacy, the grandson of one of the Howling Commandos who fought by the side of Captain America in the '40s. With a strong sense of loyalty, a sunny disposition, and an easygoing attitude, he was a little bit of sunshine during a very dark season two. Played by B.J. Britt, rumor has it that he’s set to return in the framework with his stunt double listed as appearing in episode 18 on IMDB. While nothing’s been confirmed, it would definitely make fans happy. The big question: in a world where Hydra is in charge of S.H.I.E.L.D.’s Triskelion and everyone’s biggest regrets being eliminated creates a ripple effect on the world around them, what kind of Trip will the audience see? Will he still be the ever loyal S.H.I.E.L.D. legacy trying to take down Hydra? Will he be an ally for Daisy (Chloe Bennet) and Simmons (Elizabeth Henstridge), the only two S.H.I.E.L.D. agents cognizant of the real world within the framework? Or will he be a member of the Hydra machine, a foe they have to go up against in their quest to wake up the rest of their team? If Trip lives in the Framework, does this mean that Skye never underwent her Inhuman transformation? His addition to the virtual reality opens up several exciting story possibilities. If the rumors of Trip appearing within the Framework are true, it’s sure to be an emotional encounter, as both Simmons and Daisy (back when she was still calling herself Skye) blamed themselves for his death. One of the few characters who had the honor of appearing both on Agents of S.H.I.E.L.D. 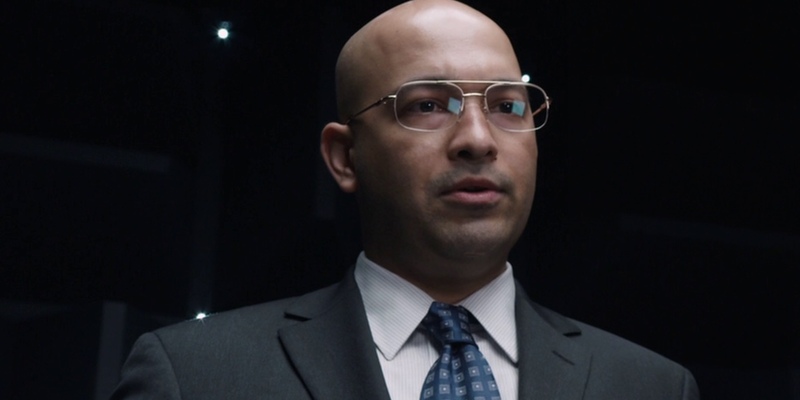 and within the larger Marvel Cinematic Universe, Jasper Sitwell (Maximiliano Hernandez) was a Level 6 field agent who paired up to work with Coulson on several missions. As it turned out, though, Jasper Sitwell wasn’t just a S.H.I.E.L.D. agent intent on saving the day, he was actually working undercover for Hydra all along. He met his end when he was thrown out of a moving vehicle in Captain America: The Winter Soldier. With Hydra in control within the Framework, it does open up the possibility for a return for the character. In this world, he might not have died in the midst of Captain America’s quest to stop Hydra. He might even be a high ranking official within Hydra’s infrastructure at this point. Wouldn’t you just love to see Jemma come face to face with the same man she once tried to flirt her way out of trouble with before shooting him with the night-night gun, especially since she never again encountered him once he was revealed to be Hydra? There’s a good chance she wouldn’t be so nervous around him this time around. With a code name like Agent 33, someone like Kara Lynn Palamas (Maya Stojan) was a relatively high ranking field operative. After all, S.H.I.E.L.D. has hundreds, if not thousands, of personnel around the world -- or at least, they did. When Kara was introduced to the show, she had been captured from a S.H.I.E.L.D. safe house in the wake of Hydra’s coming out party. It was Bobbi Morse (Adrianne Palicki) who had given her up, not knowing the house was occupied. She was brainwashed and worked for Hydra until Ward came along and helped her deprogram herself, so to speak. Ward also turned her somewhat into the Bonnie to his Clyde as the two teamed up to take Coulson and his core team down. The bad thing about Kara’s appearance on the show is that the audience didn’t really get to know her. Instead of getting to see the real Agent 33 in action, the Hydra version of her, the one wearing May’s face in a botched undercover assignment, and the one who was completely devoted to Ward, were what the audience got. The audience never got the chance to see what she was like as an agent before the brainwashing. To be fair, the Framework might not be able to delve into that either, but it would be nice to see the writers give it a shot. Victoria Hand (Saffron Burrows) is a pretty kickass character in the comics, but for the series, she was stuck on administrative duty every time the core characters visited the Hub in season one. Someone who was all about S.H.I.E.L.D. procedure and making sure the rules were followed, Hand and Coulson butted heads on more than one occasion until she realized he was the real deal. During the Hydra uprising, she was killed by Ward en route to the Fridge to place John Garrett in custody. With only a few appearances, comic book fans were disappointed with how little she appeared on the show. Seeing Victoria Hand in the Framework could provide audiences with a bit of a fleshing out of her character -- if she survived the Hydra takeover this time. With Coulson (and potentially Iain de Caestecker’s Fitz) not involved in S.H.I.E.L.D. though, she might have even met her end earlier. If comic book fans can’t get a little more of Victoria, Izzy Hartley could be the next best thing. Played by Lucy Lawless for two episodes in season two, Hartley and Hand were a couple for a time in the comics, though the show didn’t acknowledge their relationship at all. Plenty of fans would like to see these two again. 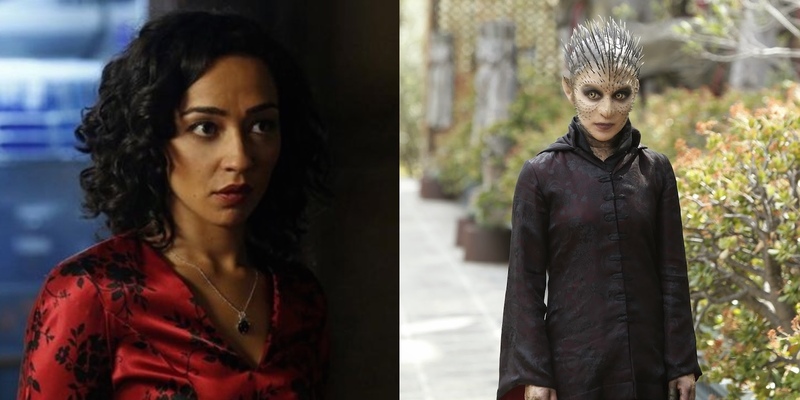 The girl in the flower dress played by Ruth Negga, Raina was the ultimate frenemy for the Agents of S.H.I.E.L.D. Originally an antagonist working for the Clairvoyant, it was revealed that she was just out to discover her destiny as an Inhuman, and that the Clairvoyant was simply a means to an end for her. Once she went through terrigenesis, Raina became a more vulnerable character -- ironic, considering she was covered in spines -- and aligned herself with the Inhumans hidden away. Unfortunately for the newly prophetic Raina, there was a power struggle going on between the Inhumans in the community she joined and S.H.I.E.L.D., and she was caught in the middle. Interestingly, the audience never even learned Raina’s last name, and the teases at her backstory indicated that her grandmother knew of their Inhuman heritage and that she ended up living on the streets at a very young age. Raina would have been a fascinating character for the series to explore further, but Ruth Negga was written out and cast in the Preacher pilot just as it seemed the audience would learn more about her. These days, Negga is an Oscar-nominated actress for her role in Loving, and the sky’s the limit. Getting her back for a Raina appearance in the Framework might be tricky, but it would be worth it, especially if Raina hasn’t undergone terrigenesis in this new reality. After all, when Daisy wakes up in the Framework, she’s still got her long hair and is in a relationship with Ward, and Coulson’s journey to decode the Kree symbols from his time in T.A.H.I.T.I. never happened, so Skye might never have become Daisy. It stands to reason that Raina might not have had the chance to claim her birthright either. 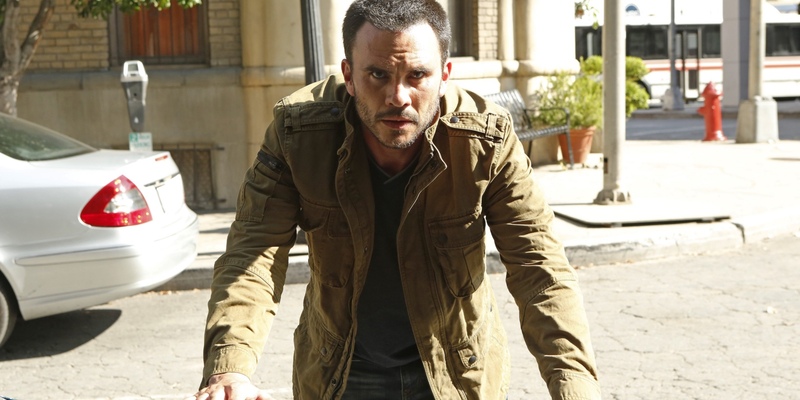 One of the many characters Agents of S.H.I.E.L.D. 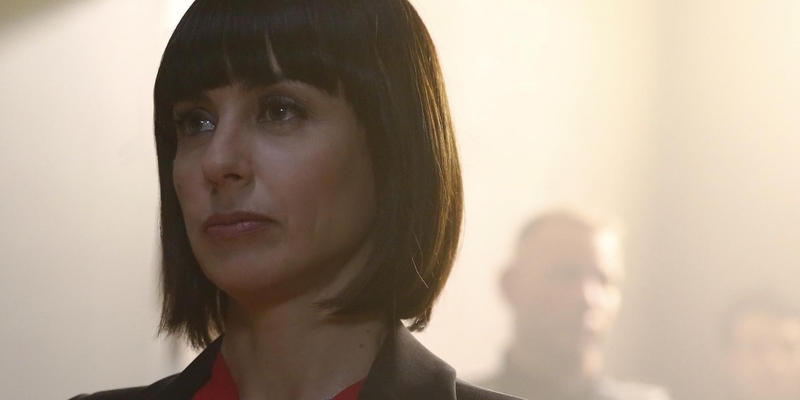 audience members weren’t sure they could trust when she was introduced, Rosalind Price (Constance Zimmer) was the head of a legitimate government organization responsible for tracking down Inhumans in season three. She and Coulson eventually set aside their differences and fell for one another, but Ward, in his quest to make Coulson suffer, killed her. Rosalind might not be the most anticipated character audiences want to see in the Framework, but she is one of the most significant people in Coulson’s life that we’ve met. If Coulson never joined S.H.I.E.L.D., the romances he had as a result might not exist, even in a twisted Framework form. Audiences are going to want to see him happy in his new life; that’s what makes pulling him out of the Framework just a little more conflicting. Who better to see him with than the woman he cared so much for that he followed Ward to another planet to avenge? Constance Zimmer might not have the time available to appear in the series. She is one of the leads in Lifetime’s Unreal, which is currently shooting in Vancouver. If Zimmer is unavailable, we could see another woman in Coulson’s civilian life in the Framework, whether it’s Amy Acker’s cellist, or even Melinda May (though he might not have met her either if he never joined S.H.I.E.L.D.). A former S.H.I.E.L.D. Academy professor turned renegade scientist, Franklin Hall (Ian Hart) stole S.H.I.E.L.D. research, though he was the one to undertake it in the first place, to keep it out of dangerous hands. In season one, a single mission of the team involved recovering him when he was kidnapped by Ian Quinn (David Conrad). As it turned out, Hall was using Quinn to escape S.H.I.E.L.D. so that he could destroy his research and the technology that came from it. Unfortunately for him, it didn’t exactly go as planned, as he ended up falling into his own gravitonium -- a substance that Ian Quinn then stole at the end of the season, and the audience hasn’t seen since. In the comics, falling into gravitonium as he did made Franklin Hall Graviton, a villain who could, you guessed it, manipulate gravity. He’s one of those characters the showrunners are constantly asked about in interviews. Will Graviton come to Agents of S.H.I.E.L.D.? They were asked about the character again in relation to the Framework, though Jed Whedon continued to play coy about whether or not audiences would see him in action. Bringing him into the Framework would be a great reminder to the team though that Ian Quinn -- and everything he stole from S.H.I.E.L.D. when he was working with Hydra -- is still out there in the real world somewhere, probably causing trouble. This would be a nice way to tee up his possible future appearances. The team of agents the audience knows on the series aren’t the only ones Coulson has worked with. In the past, he used to train agents on the rise and even lead teams consisting of high-ranking big guns like Hawkeye (Jeremy Renner) and Black Widow (Scarlett Johansson). One such agent was Akela Amador (Pascale Armand). She was well on her way to being the best when she disappeared on an op and S.H.I.E.L.D. declared her killed in action. Much to Coulson’s surprise, his trainee surfaced years later as someone stealing impossible to steal items. In reality, she was working for Hydra with an implanted eye that featured instructions and various visual options that allowed her to see in the dark and through objects. Akela was saved by Coulson’s team, and Fitz and Simmons even got rid of Hydra’s eye for her, but she was taken into S.H.I.E.L.D. custody and never seen again. What happened to her when Hydra was brought out in the open? No one knows. While appearing in the Framework wouldn’t answer that question, it would provide fans with a fun “what if” for her instead. 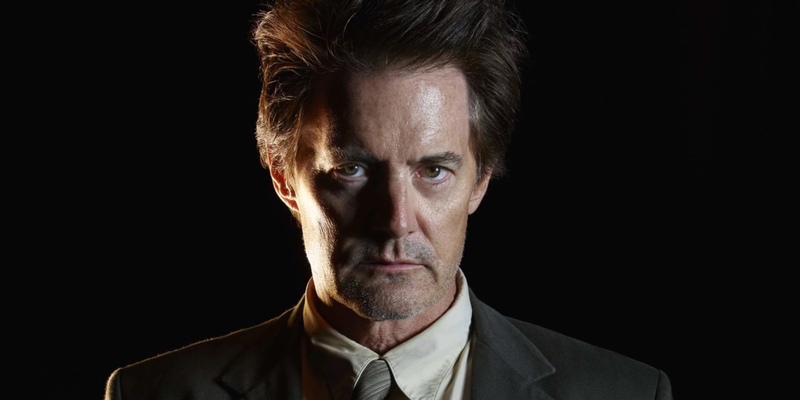 Calvin Zabo AKA Calvin Johnson AKA Mr. Hyde (Kyle MacLachlan) stole the show in season two with his zest for villainy and his determination to find his daughter, Daisy. Inspired by the classic fictional character, he uses a special serum to give himself super strength, though that serum makes him mentally unstable as well. His arc ended with him choosing to allow S.H.I.E.L.D. to erase his memories of his villainous ways after he saved his daughter from her own mother, and thus, helped saved the world. He’s happily (the audience assumes) being a vet, though Daisy keeps an eye on him off camera. Cal appearing in the Framework is a must, if only for audiences to see just how Daisy’s story plays out differently in this reality. While Skye spent her whole life searching for answers, her father was looking for her as well. Did he ever find her in the Framework? It was Raina, and later Ward, who led her to him, so it doesn’t seem farfetched to think their relationship in the Framework could be very different than her not wanting to have anything to do with the “monster” he was when she first met him in season two. A former teacher and S.H.I.E.L.D. agent at the Academy where Fitz and Simmons were the top of their class, Anne Weaver (Christine Adams) had a soft spot for the duo. She also had a pretty harrowing go of it when Hydra came out of the woodwork. 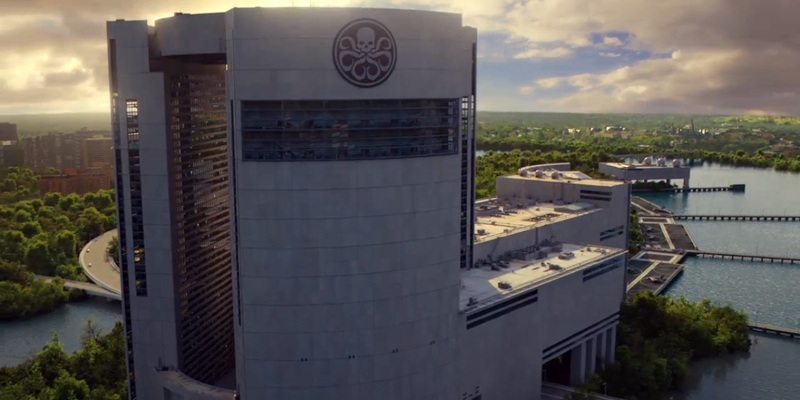 According to the members of “the real S.H.I.E.L.D.,” who disagreed with Coulson leading the underground organization, Agent Weaver protected prospective agents at the Academy while going up against enhanced people sent by Hydra to kill them. Like a lot of the characters who need to appear in the Framework, the audience hasn’t seen Agent Weaver in over a year. Last she appeared on screen, she was doing tests on a giant space rock that turned out to be a portal to an alien planet. Once Simmons was taken by the rock, the audience never saw Weaver again. Given her position teaching young scientists how to put their skills for S.H.I.E.L.D., just what her position would be for Hydra, or whether she’d have one at all, in the Framework could make her a valuable ally for Daisy and Simmons. 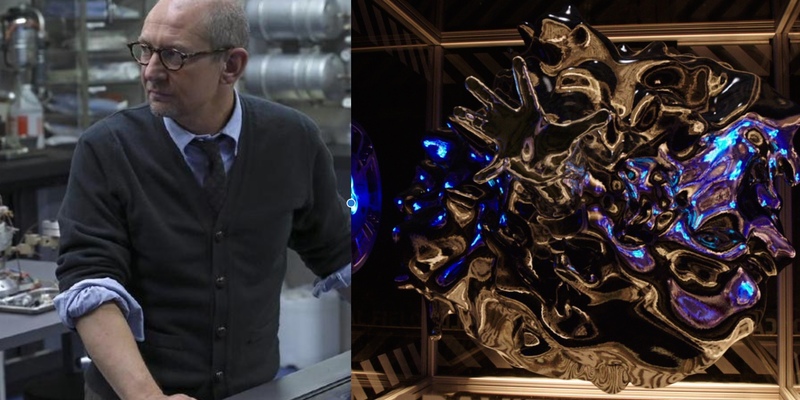 The first of the Secret Warriors recruited by Daisy, Joey Gutierrez (Juan Pablo Raba) could manipulate metal, melting it and then changing its shape. He was the first confirmed gay character on AoS, an Inhuman who was created specifically for the show instead of being pulled from the comics. Joey spent a handful of episodes learning about his abilities and about S.H.I.E.L.D. before teaming up for a single mission with Daisy, Elena (Natalia Cordova-Buckley), and Lincoln (Luke Mitchell). After realizing that those within S.H.I.E.L.D. didn’t trust Inhumans, in the same way the rest of the world didn’t trust them, he was never seen again. What’s interesting about Joey is that he and Elena leave S.H.I.E.L.D. 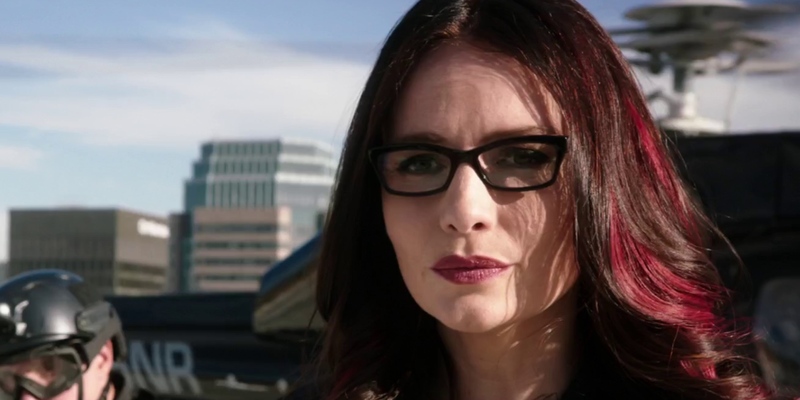 for seemingly the same reason by the end of “The Team,” but Elena has become a recurring character on the series since, returning to participate in missions with the S.H.I.E.L.D. team she trusts. There hasn’t been a word spoken about Joey since. Could the Joey in the Framework have embraced his abilities to become even more powerful than what the audience saw on the show? Without having seen him in so long, it would be fun to see the writers bring back a Joey who knows exactly how to wield his abilities instead of, say, someone who has never gone through the transformation. But would he be working for or against Hydra? Marial Hill (Cobie Smulders) is one of the few characters to cross over between film and television in the Marvel Cinematic Universe. 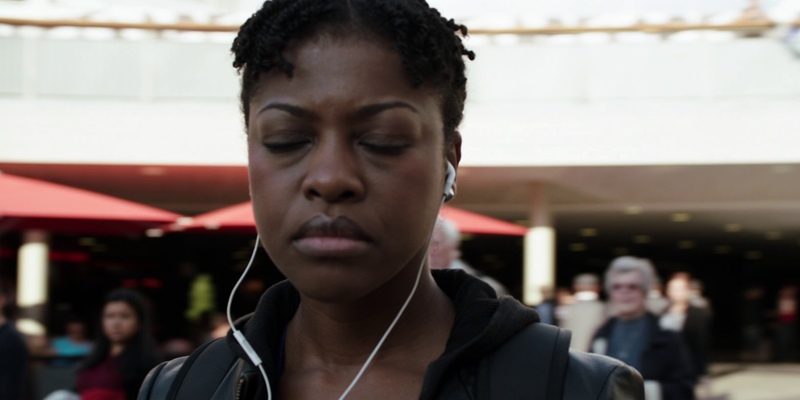 Like Jasper Sitwell, Phil Coulson, and Nick Fury (Samuel L. Jackson), she got her start as a S.H.I.E.L.D. agent on the big screen before appearing on the ABC series as one of the few people within the agency who had clearance to speak with Coulson after his “death.” Her last appearance on the show in season two provided another link between the movies and TV when she was the go-between for Coulson and Fury on the Theta Protocol, which involved a helicarrier being rebuilt to help the Avengers in a crisis. 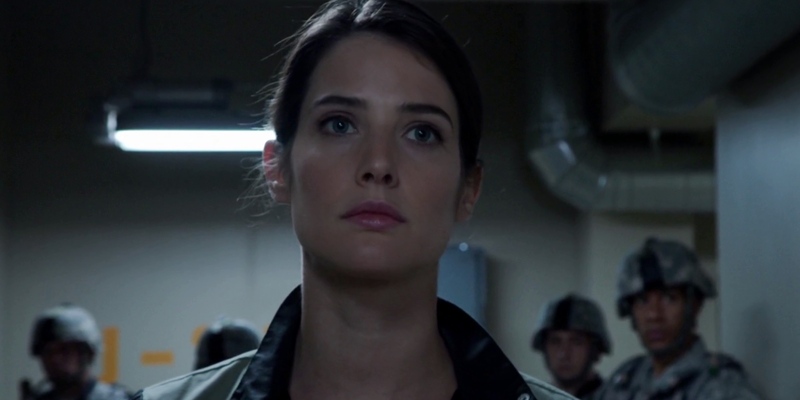 It’s hard to imagine someone like Maria Hill, who has always operated within S.H.I.E.L.D. for the greater good, being a part of Hydra. With Hydra in charge of what was S.H.I.E.L.D.’s Triskelion in the Framework, though, there have to be consequences for Hill. Is she working for them? Is she working against them? Is she even still alive? If the showrunners can’t get Smulders back to film (she didn’t appear at all in season three, after all, as she was busy with a few movies), at the very least, a mention of what reality the Framework created for its version of her would be nice. 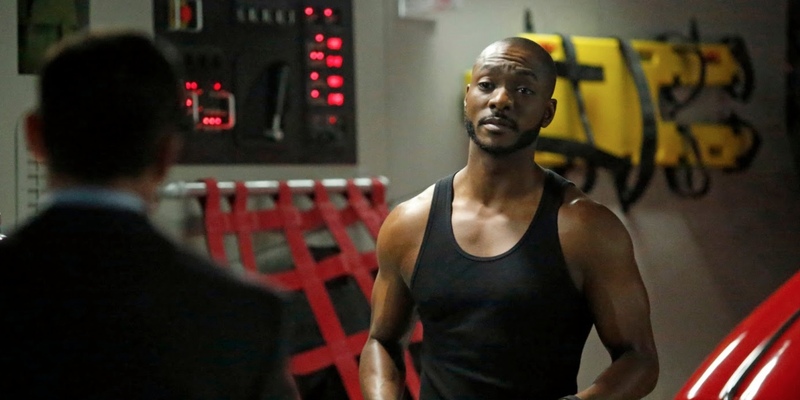 Who would have thought that someone easily dismissed as comic relief in his first episode would become such an integral part of the S.H.I.E.L.D. team and a fan favorite? 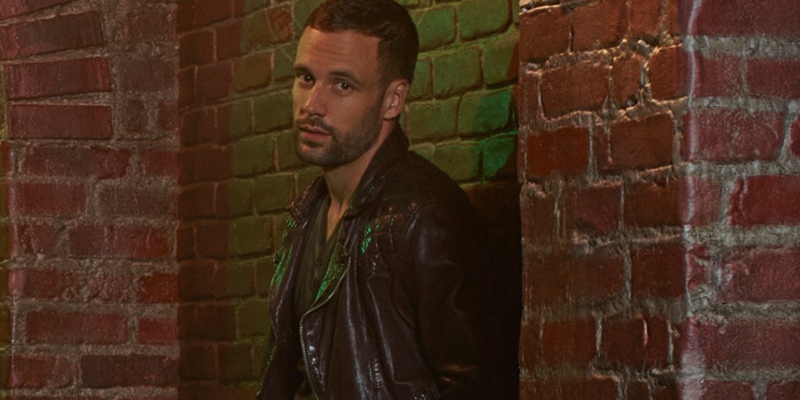 Lance Hunter (Nick Blood) was once a mercenary who wound up working undercover for S.H.I.E.L.D. Ex-husband of Bobbi Morse, much of the comedy in his character came from early interactions with her. He seemed like the kind of guy who was only in the job for the money, but by the end of his time on the show, he was a full-fledged S.H.I.E.L.D. agent willing to get himself disavowed to protect the agency. That’s precisely when the audience last saw him, as he and Bobbi were caught on an operation in Russia and forced to leave the agency or sell it out. The duo was supposed to get a spinoff series, but alas, ABC ended up passing on it. Showrunners Jed Whedon and Maurissa Tancharoen have both said they’d love to get Blood and Adrianne Palicki back on the show, but currently have no set plan to do so. Of course, that was before the reveal that there was a virtual reality where the tiny complication of them not being S.H.I.E.L.D. agents anymore wouldn’t matter. So, of course, the audience needs to see if Hunter is still a merc for hire in the Framework hiding his bleeding heart behind piles of cash, or if he’s one of the good guys. Bobbi Morse AKA Mockingbird was eagerly anticipated by fans when Adrianne Palicki was announced for the role. For the only honest-to-goodness (at the time) comic book Avenger to land on the show, expectations were high. Palicki, of course, delivered. A veteran S.H.I.E.L.D. agent, audiences met her when she was undercover at Hydra as she rescued Simmons. Throughout her time on the show, the writers peeled back the layers to show her romantic side, her sciencey side, and everything in between, in addition to her usual heroics. Like Lance Hunter, though, she was last seen getting a spy’s goodbye in a dingy bar, taking shots before heading out on her next off-camera adventure. It would stand to reason that if the audience gets to see Hunter in the Framework, Bobbi should pop up too. The former husband and wife got back together in the real world thanks to the situations they found themselves in for S.H.I.E.L.D., but would that have still been the case in the Framework? Or could they possibly be on opposite sides of the coming conflict as Daisy and Simmons get to know this new reality? Samuel L. Jackson’s Nick Fury was introduced to audiences way back in the beginning of the MCU in a post-credits scene for Iron Man. It was then that he teased a larger cinematic universe as he explained to Tony Stark (Robert Downey Jr.) that there were more superheroes in the world. The former director of S.H.I.E.L.D., who turned over the reigns to Coulson in season one, always keeps his ear to the ground about the goings on in superpowered communities. Even though he hasn’t appeared in person on Agents of S.H.I.E.L.D. since the season one finale, his presence has been felt as his communications with Coulson have been referenced in the movies. With Coulson never having joined S.H.I.E.L.D. in the Framework, Fury would have been the most recent director of the organization that the audience is aware of. Would he have survived the Hydra takeover? Would he be a Hydra prisoner? Would he still have the eye patch? It would be fun to find out. 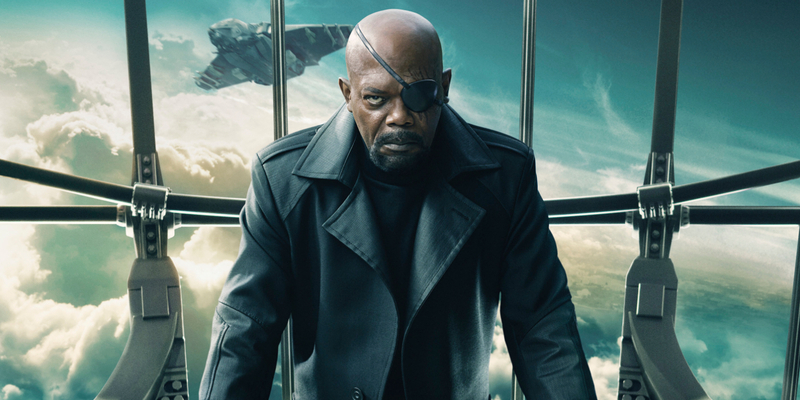 Of course, Samuel L. Jackson has certainly got a full schedule as a full-fledged movie star, so even if the audience doesn’t get a taste of this virtual reality Nick Fury, he’ll likely appear in Avengers: Infinity War and Captain Marvel, at the very least. Who do you want to see in the Framework when Agents of S.H.I.E.L.D. returns? Let us know in the comments, and then catch the familiar faces when Agents of S.H.I.E.L.D. airs all-new episodes beginning on April 4.